The Historical Society of Haddonfield will be creating a new pop-up display about parasols for our next “First Sunday” hours on April 7 from 1-3 pm. 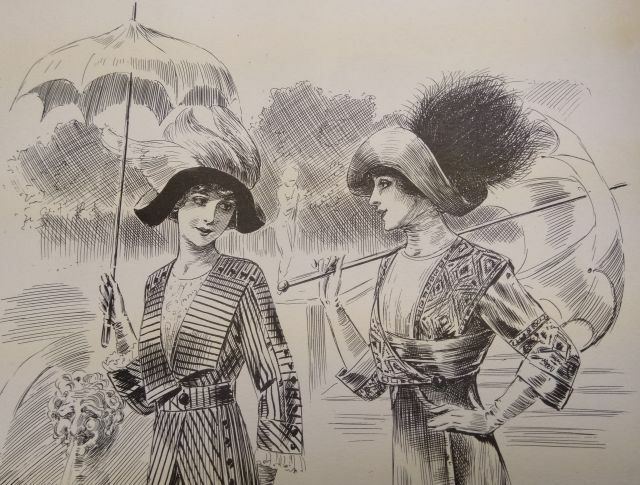 We will be pulling out a sampling from the Society’s rarely displayed collection of parasols from the 18th, 19th and 20th century, as well as a few archival materials related to ladies’ fashion. The pop-up display will be on view in the first floor of Greenfield Hall, 343 Kings Highway East, Haddonfield. As with other “First Sundays,” the Historical Society will be offering our usual tours of Greenfield Hall, and the Archives Center and Research Library will be open for researchers next door in the Samuel Mickle House. The pop-up display will continue through most of April and be available for viewing during Greenfield Hall’s public hours (Monday, Wednesday and Friday from 1-4 pm) or by special appointment at another time. Questions? Contact the Historical Society at info@haddonfieldhistory.org or 856-429-7375.